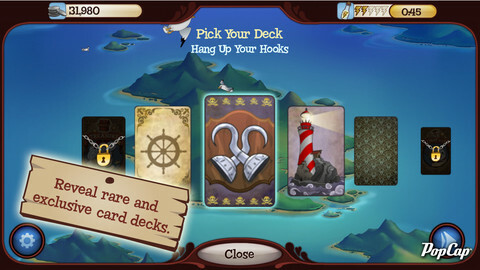 Popcap games like Book Worm, Bejeweled and Plants vs. Zombies have long been favs of ours. 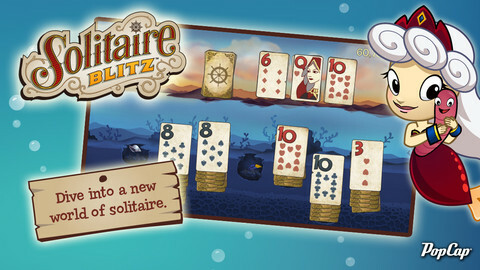 They add new games frequently and we're super stoked to introduce their latest--Solitaire Blitz! *I'm a millionaire on line! Disclosure: Thanks to Popcap games for sending us 1 million in virtual Silver (currency in the Solitaire Blitz realm) and inviting us to experience a new world of solitaire on iPad, iPhone and iPod touch. All opinions are our own. You can play alone, as the solitaire name implies, or you can kick it up a notch and compete against others to top the Leaderboard or play with your friends and see their scores. No contest, a bit of a contest makes the game that much more fun! Clear cards in 60 seconds, meet colorful characters, and uncover rare artwork and priceless antiques. 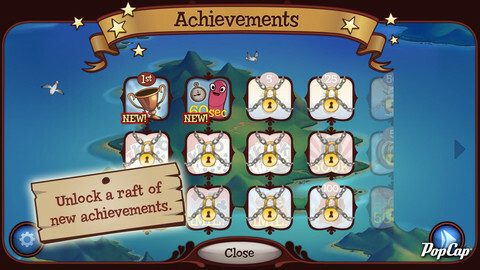 Plus, unlock a raft of new in-game achievements including awards for accuracy, win streaks and high scores. Solitaire Blitz™ is now in the Apple App Store for free! Our family digs games--classics, card games, board games, video games and skills toys. The kids (10 & 12) and I tried it out and Solitaire Blitz rocks! The energy does run out fast if you don't buy more or wait patiently... but since the game itself is free, it's not too much of a pain and a worthy investment if you find yourself playing a lot. Solitaire Blitz is a fun way to relax and unstress. The fast paced play keeps your mind sharp and the competitive elements keep it interesting. 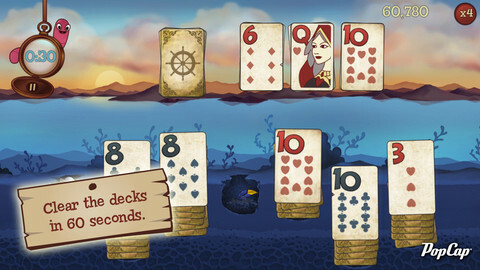 Solitaire Blitz morphs the game of solitaire into a timed thinking game. The object is to attempt to clear all of the cards before time runs out. There are 60 seconds on the clock by default, but you can earn more by clearing cards, or purchase more time with silver coins. Like traditional solitaire, you are presented with card stacks that you need to move around and *clear* by stacking cards on top of each other in order. However, unlike the regular games, you can stack backwards. And the Joker can be used as a wild card. Solitaire Blitz for iOS lets players encounter new social twists to the classic game in a fast-paced race. The better you play, the more treasures you recover. Plus you can earn corns to purchase Boosts for the game. 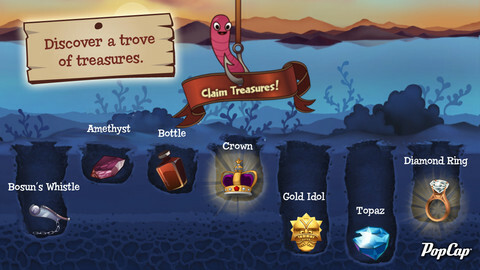 Set in the ocean, you will dive into uncharted waters to recover treasures including rare artwork and priceless antiques. Claiming these treasures after a game might rack up anywhere from 5 to 5000 silver coins. • High Speed Meets High Stakes: Clear the decks in just 60 seconds. Score big bonuses for long winning streaks, accuracy and more. • Amazing Achievements: Unlock a boatload of new in-game achievements, including awards for accuracy, win streaks and high scores. • Fun with Fishy Friends: Get to know Pearl the mermaid, Otis the worm, Noodles the octopus and many more as they provide tips, tricks and score multipliers! • A Trove of Treasures: Collect treasures, hunt for rare trinkets and earn coins to purchase boosts that supercharge your game. • Fun, Social and Competitive: Connect to Facebook to compete with friends and battle it out for leaderboard supremacy! *Disclosure: Thanks to Popcap games for sponsoring this post. All opinions are our own.